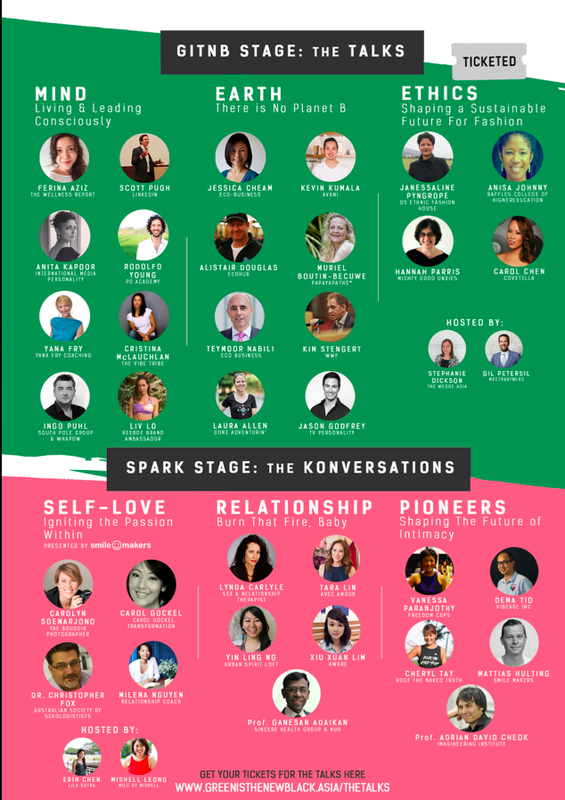 Green is the New Black is back with the 3rd edition of The Conscious Festival, this year co- branded with SPARK. 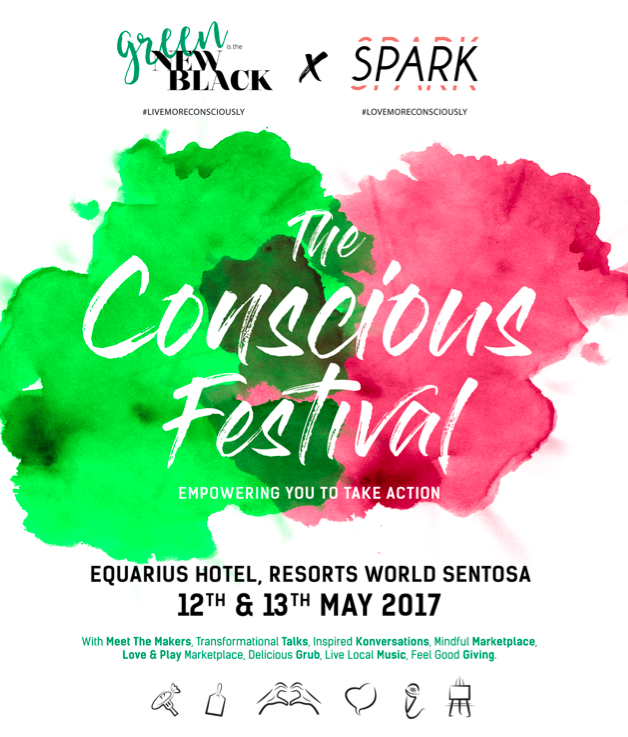 To be held across two days on Friday 12 May 2017 (5:00pm to 10:00pm) and Saturday 13 May 2017 (10:00am to 6:00pm) at Equarius Hotel, Resorts World Sentosa, the festival aims to empower individuals to take action and #LiveMoreConsciously, through a mindful marketplace (free entry) and transformational talks (ticketed). Climate change and social responsibility are becoming hotly discussed topics, not just in Singapore but all over the world. Most people know that lifestyle choices and actions will impact the environment and that there are underserved communities who need our support. But for the busy professional or parent who may not have time to devote to activism, how can they also make a difference? GITNB believes that every action counts — even the small ones. Environment and social responsibility can be fun, approachable and inspiring — so that people can live more consciously. SPARK was chosen as GITNB’s sister event this year because like climate change, sexual wellness and gender equality are emerging topics that is universal across cultures. In fact, sexual wellness has been identified as one of the top 6 global health and wellness trends from 2016 onwards. Intimacy and connection are hallmarks to healthy relationships, even if it is with oneself. 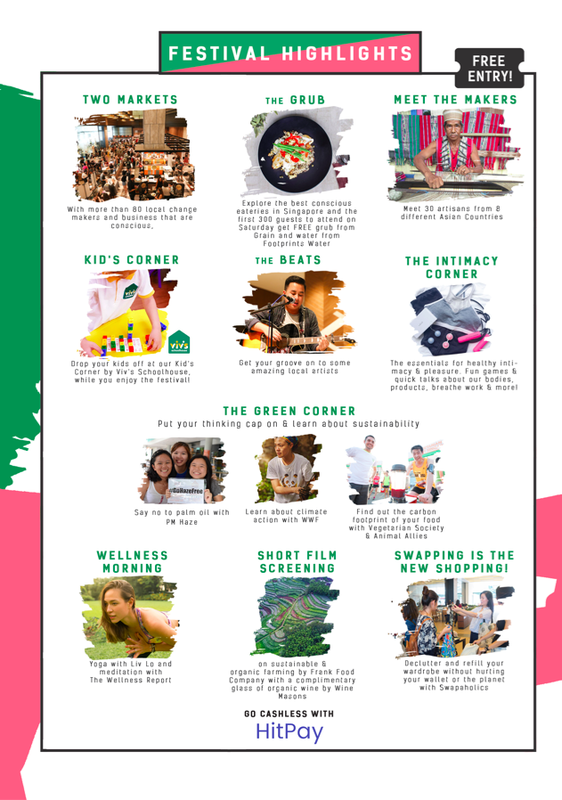 SPARK aims to be the first in Asia to create a space that provides refreshing dialogue and experiences in these areas — so that people can love more consciously. Spread over the 6 ballrooms at Equairus Hotel, the organisers are working with advocacy groups and educational partners to design an inspiring yet ‘edutaining' experience for this edition of the festival. This edition of the festival is pescitarian, and is promoting sustainable seafood, vegetarian and vegan delicacies at the Food Fair. There is also organic wine, beer and gin being served — so guests can eat and drink well! They are also working towards becoming a zero waste festival and are putting in measures to work towards this goal. Guests are encouraged to register themselves (http://tinyurl.com/ GITNBxSPARK2017freeentry) to assist the organisers in reaching this goal.